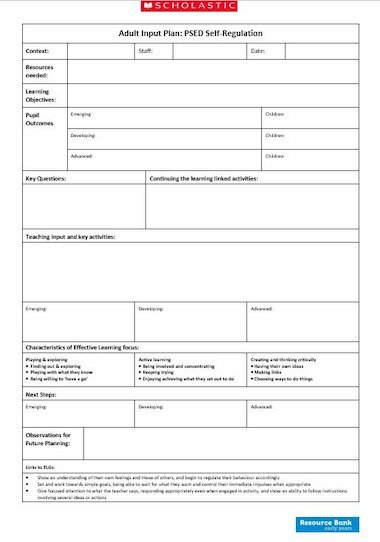 Short-term, adult-input planning template for teaching and assessing the ELG Personal, Social and Emotional Development – Self-confidence and Self-awareness. Space is provided to record outcomes, activities and next steps for children in your setting who are emerging, developing and advanced. This is complemented by the additional observations sheet that allows you to highlight easily what children have achieved.